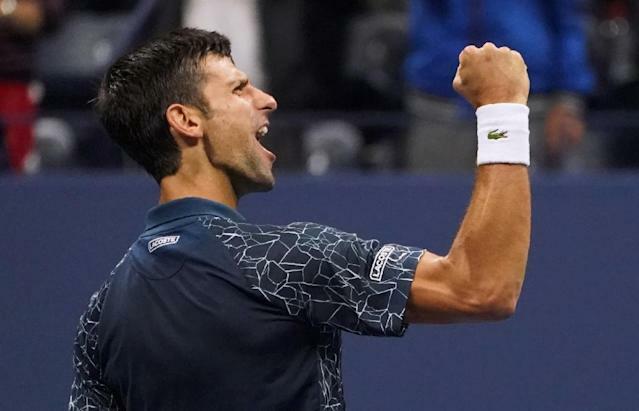 London (AFP) - Novak Djokovic revelled in his "perfect" five months on Friday as he took aim at his sixth ATP Finals title with the year-end number one ranking in the bag. The Serb, who won Wimbledon and the US Open, earlier this week replaced the injured Rafael Nadal at the top of the men's rankings and is guaranteed to end 2018 in top spot. "I'm very proud of that achievement and I understand that it's extra special this year because of the journey I've been through in the last 15 months, especially and particularly in the last eight to 10 months. "After February's elbow surgery it looked quite improbable that I would be in this position as the year-end number one, not just because of the rankings -- I was 22 (in May) -- but just because of how I felt on the court, how I was playing. "But there was always part of me that believed I could make it back and I never thought it was impossible. I just thought at the time it might take more time than I wished it to be. "Of course, unfortunately Nadal had to withdraw from all of his tournaments after the US Open so he was not in that race but at the same time I thought it was a great five months that is crowned with this achievement." He struggled to find his best tennis when he returned to the court but reached the final of Queen's before winning Wimbledon and the US Open. Djokovic also confirmed that he would not be playing Nadal in a controversial exhibition match in Saudi Arabia in December because of the Spaniard's injury.